There is something about caramel that really gets me going. I'm not sure if it's the butterscotchy flavor or the smooth texture, but man, am I hooked on the stuff. So you can imagine how thrilled I was to learn about this recipe for Southern caramel cake. 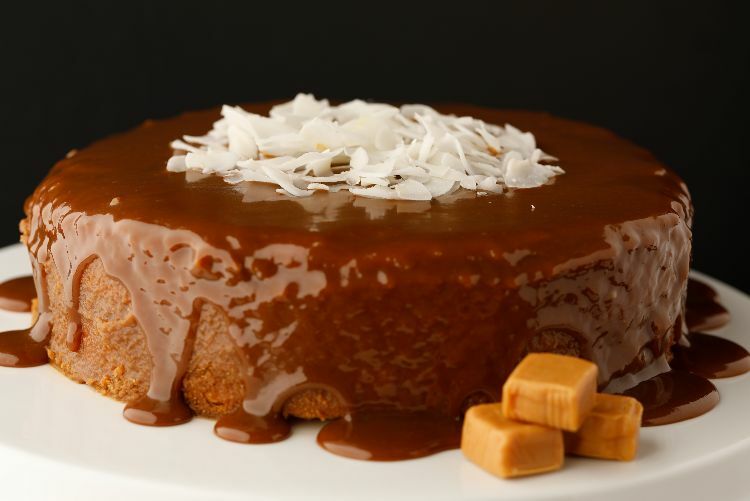 The cake is incredibly moist and it's frosted with a ton of tasty caramel. This cake is perfect for warm afternoons when you want something sweet without feeling weighed down. The cake itself is very light – a very classic yellow cake – so you won't feel too guilty about eating a slice. The super sweet frosting, on the other hand, might make you feel a little ashamed. It's decadent and sinfully good. Preheat the oven to 350 degrees F. Grease the bottom and the sides of two 9-inch cake pans and set aside. 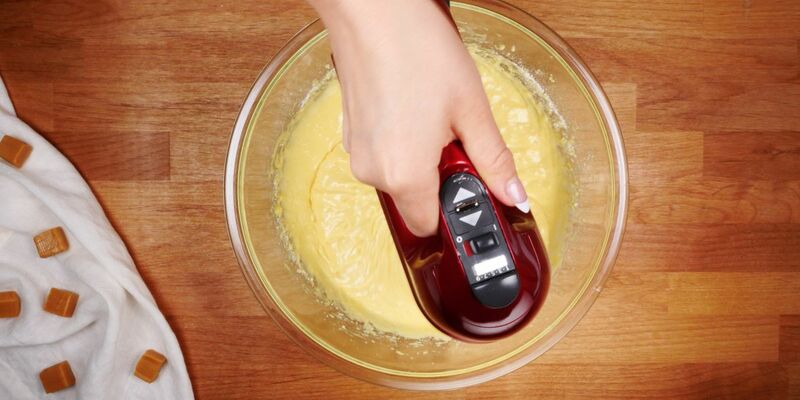 In a stand mixer, blend the cake mix, water, oil and eggs at low speed until moistened. Increase the speed to medium and beat for 2 minutes. Pour the batter into the cake pans and bake for 25 minutes, until a toothpick inserted into the center comes out clean. Set the cake pans on a wire rack and cool for 15 minutes before removing them from the pan. Meanwhile, to make the icing, melt the butter in a medium saucepan over medium-high heat. Add the brown sugar, evaporated milk and vanilla extract. Bring the mixture to a boil before reducing the heat to a simmer. Cook, stirring often, for 5 to 10 minutes, until the caramel is thick and smooth. Set the caramel aside to cool slightly. When the caramel is cool enough to handle but still warm enough to spread, place the bottom layer of the cake on a platter. Spread a thin layer of the caramel on top of the cake and set the second layer on top. Spread the caramel over the top and the sides of the cake. If the caramel becomes too cool and sets before you can use it, warm it over low heat. You can also whisk in a few tablespoons of evaporated milk until it is smooth again. Slice into 12 pieces and serve.